Do you want to translate your WordPress site? If yes, you are in the right place. Translation in a WordPress site can easily be achieved by the use of translation plugins. Even when you install WordPress, you are asked to choose your language. 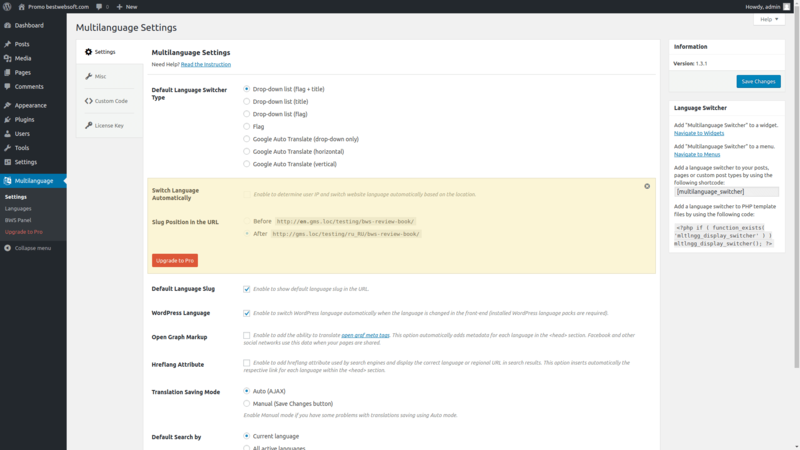 You can select any language, and your WordPress will be installed in that language. But what to do when you want to make your website multilingual? Translating your content into different languages helps widen your reach and audience. It also helps in bringing in more traffic from the search engines. In this article, we will be exploring the 10 Best WordPress Translation Plugins. But before we dwell into that, let’s take a look at some of the things you should know before installing a translation plugin on your website. If you’ve used an online translation like Google Translate before, you know that all the translations are not accurate. And that’s the downside of machine translations. This is why, before installing a translator plugin on WordPress, you should know the difference between the types of translation plugins. Machine Translation Plugins: The machine entirely does the translations with no human editing. This method of translation is quick but prone to errors. Human Translation Plugins: These WordPress plugins help you implement human translations. Since humans do these translations, they are error-free. Combination Of Machine & Human Translation: Some WordPress translation plugins allow both types of translations to be implemented. The benefit of such plugins is that the translation can be done by the machine and then be edited out by a human. Now we know the types of translation plugins, let’s jump right into the best WordPress translation plugins. Check: Which Is The Right WordPress Translation Plugin For You? WPML is a WordPress plugin that helps you make your website completely multilingual. You can translate pages, posts, custom post types, menus, and even theme texts. The plugin is easy to set up as you can choose your languages right when you install the plugin. Talking about languages, the plugin comes with over 40 languages and allows you to add your own variants. You can turn your WordPress users to translators and assign them translation jobs. You can also create translation managers for each translator. Another great feature of this translation plugin is that it works with WooCommerce too, allowing you to translate your product pages and their descriptions. Lastly, if you need help with translation, WPML connects you with the best translation services out there. The plugin has three pricing plans. The most basic one starts at $29 per year with limited features. More features are added in the subsequent plans which cost $79 and $159 per year. Polylang is a free WordPress translation plugin that allows you to translate your posts, pages, custom post types, taxonomies, RSS feed, and widgets. Automatic downloaded WordPress language packs with this plugin gives you a huge set of translation languages. You can set the language for a page or post in the content or the URL. Polylang also allows you to use a subdomain or a different domain for a different language. A customizable language switcher is also provided as a widget in the nav bar to help your audience switch to their preferred language. The plugin also offers professional language translation as a part of their add-on called Lingotek Translation. The plugin does the work of translating your WordPress site and making it multilingual. It’s a great plugin considering that it’s free. TranslatePress is a super easy-to-use translation plugin that lets you translate all your site content directly from the front-end. You basically navigate the site and translate each piece of content in real-time and in a matter of clicks. The translation interface (which looks close to the WordPress Customizer) lets you translate all strings on a certain page, including output from shortcodes or page builders. It works out of the box with WooCommerce. It offers support for both manual and automatic translation (via Google Translate). TranslatePress is GPL and self-hosted. This means you’ll own your translated content forever and it will be stored on your own servers. Being a freemium product, you’ll find extra features like Automatic Language Detection, Translator Accounts, the ability to add unlimited translation languages (the free version is limited to 2 languages), or an SEO boosting module inside the paid version. WP Engine recommends this WordPress translation plugin which has over 200,000 downloads. Though this plugin might not be ideal for everyone’s needs, it does stand out against other translation plugins. The reason behind this is that MultilingualPress is based on the multi-site approach where a different domain is dedicated to each language. This has huge performance benefits as unlike other translation plugins; only one language has to be loaded. On top of that, you can optimize each website for SEO accordingly. The plugin is priced at $199 for use on an unlimited number of domains. This WordPress plugin uses automatic translation using Google Translate. With over 103 languages available, you can easily make your website multilingual using this plugin. The plugin comes with many great features like Google Analytics integration, RTL support, translator widget, and more. The plugin is really awesome and gives pretty accurate translations, after all, it uses Google translate. Loco Translate is a WordPress plugin that provides in-browser editing of WordPress translation files. The plugin is free and is suitable for those who prefer translating their website manually by creating and uploading translation files. This is the second plugin in our list that uses Google translate to make your website multilingual. Though it is not that extensive, but it still has some decent features. You can select or deselect the language you want to include for translation. You can show or hide the Google toolbar and also remove Google branding. There isn’t much in this plugin, but it’s available for free. I mentioned this plugin above when I was talking about the Polylang plugin. Lingotek Translation is a translation plugin that offers machine, professional, and community-based translations. This plugin helps to reduce the burden of getting a professional translator and also helps in cutting down the cost of hiring. Lingotek has a pretty wide marketplace consisting of over 5000 in-country translators. The plugin automates the process of transferring files between Lingotek and WordPress so that you don’t have to spend time sharing files. You also have full visibility, and once the translation is complete, your files are automatically downloaded. Community translations provide you a grade text editor allowing you to do the translation work yourself saving you money. With this, you can get a free machine translation with near perfect results. You can also edit your machine translations anytime. The plugin is free to download and is great for getting quick and affordable translations. Another plugin that uses Google translate for website translations. This plugin can translate your website in 100 different languages. The plugin gets the job done and is free which makes it absolutely worth a shot. This free WordPress plugin by BestWebSoft lets you translate your website in different languages. You can translate your pages, posts, custom post types, taxonomies, and more. There are 80+ languages you can choose from, and you can also add your own languages. The plugin also supports Google auto-translate. The plugin offers quite awesome features and helps in making your website multilingual. Transposh WordPress Translation is a unique WordPress translation plugin that allows both machine translation along with human translation aided by your users. The plugin is free and is good for automatic translations. You can also get professional translations in this plugin. So, these were the 10 best WordPress translation plugins. Which one is the best for you? Let’s decide! Which Is The Right WordPress Translation Plugin For You? Here are my recommendations for the best translation plugin for you based on some requirements and criteria. Polylang is my recommendation as it has many great features that will help you make the most out your multilingual site. It does translation automatically but also provides professional translation making it perfect. Also, the WordPress language packs are downloaded automatically making you not worry about the languages supported. MultilingualPress is the only plugin in this list that works by creating a new site for each language. If your website contains many pages, then this option is perfect for you as it doesn’t sabotage the performance of your website. Yes, the plugin is costly but if you’re making a huge website multilingual, the price of $199 sounds reasonable. Though, there are many WordPress translation plugins listed here that use Google Translate, the one that I feel the best is Translate WordPress with GTranslate. Features like Google Analytics integration, RTL support, translator widget, and lazy loading makes it the best in this category. Also, the plugin is completely free. Loco Translate is the WordPress plugin that provides a built-in translation editor and also lets you create and upload your own translations. Lingotek Translation is my recommended plugin that combines both machine and human translation. You can get professional translation or get your content translated automatically using machine translation. My vote goes to WPML. 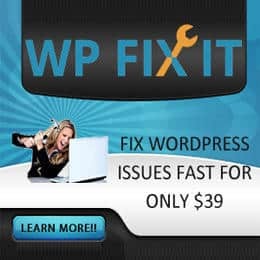 Despite the great features offered by all the other plugins mentioned in this list, it’s hard to ignore WPML. This plugin lets you do everything necessary to make a website multilingual. It has over 40 languages that you can use for translation. You can create your own language variants and even has a language editor. The other great thing about this plugin is that it supports WooCommerce making it possible to translate your store. At the price of $29 per year, this is the best WordPress translation plugin. These were my recommendations for which translation plugin you should choose. If you have used any other plugin, do mention below. Also, if you have any questions about the plugins mentioned in this list or WordPress translation in general, feel free to drop comments below. OptinMonster Review: Is It Worth The Hype & Money? Hi Istiak, what do you think about the Neuronto translation plugin for wordpress? Seems a good plugin. But I am hearing about it for the first time.